Crowns are better than ever! Porcelain Veneers are an aesthetic, minimally invasive procedure to enhance ones smile. Porcelain veneers are egg-shell thin, customized, ceramic structures that are bonded onto the teeth. When placed meticulously, and with a bio-mimetic technique they are virtually undetectable to the naked eye. Veneers are typically placed on teeth that are visible in ones smile, where a patient wants to enhance the aesthetic result. Veneers are most commonly placed on teeth that are small (narrow, or short), stained, discolored, dark, or have crack lines running throughout. 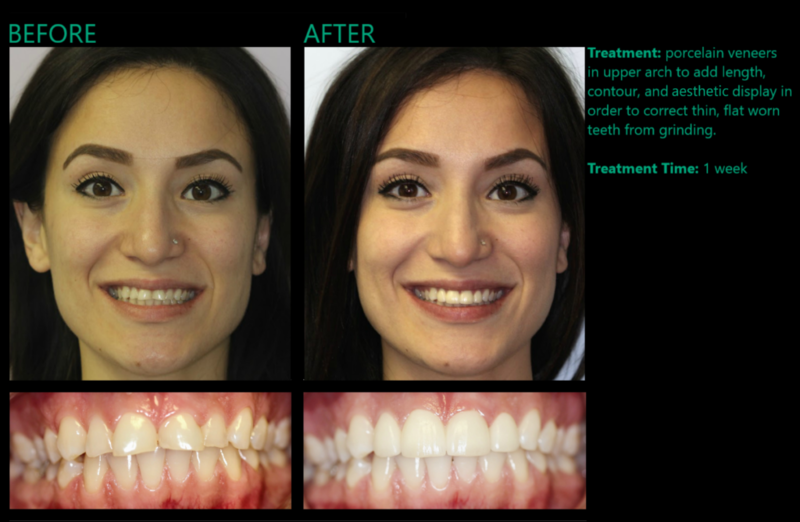 At Mynt Dental we carefully handcraft our porcelain veneers to customize each individual patient. A vibrant aesthetic result for one person is not the same as the next. We work with each patient and our skilled lab tech to ensure that they are comfortable with the smile design. We typically try and create a more youthful appearance, where our patients can smile and interact again with confidence. 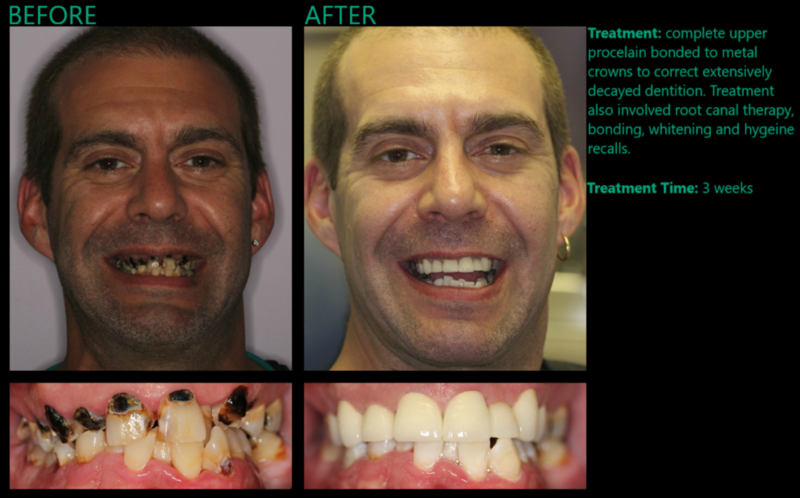 We commonly place porcelain crowns, or caps on severely broken down and heavily restored teeth. A crown is a full coverage restoration which protects and covers the entire tooth, as opposed to a veneer which is only bonded to the front of a tooth. Crowns are a great preventative form of restorative dentistry, as they help stop future breakdown or fracture of natural teeth. Crowns are extremely aesthetic restorations that can also be undetectable to the naked eye. A crown and veneer can be placed side by side where the two are indistinguishable. Zironia, which is becoming a very common dental material choice. Another very popular material is Emax or lithium disilicate. This is another milled material made from glass. There is also still definitely a place for gold in dentistry. 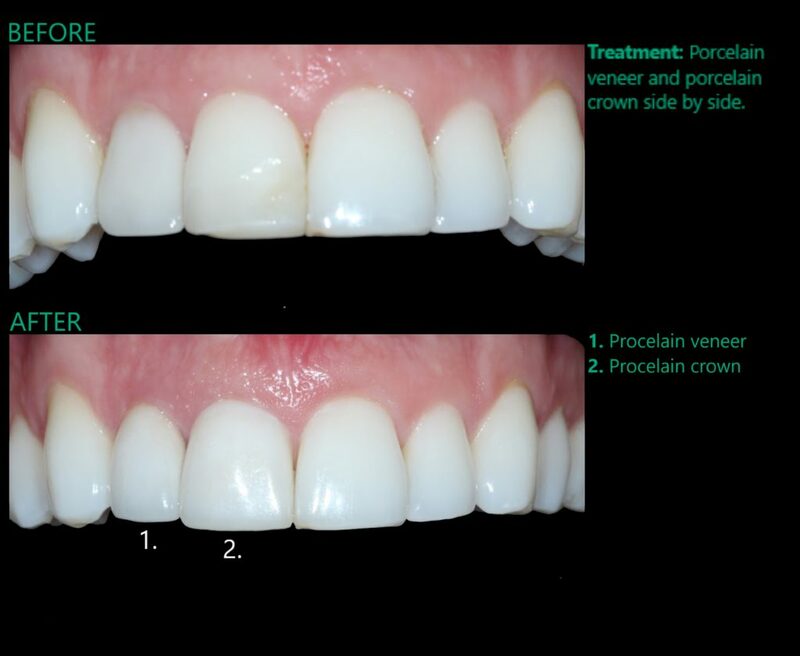 Metal or porcelain bonded to metal crowns are very good, predictable, long lasting restorations. All options are always presented to patients prior to choosing the type of material. Gold is easy on the bite, and is almost impossible to break. It is gentle on the opposing teeth and makes for a very good choice in many circumstances.